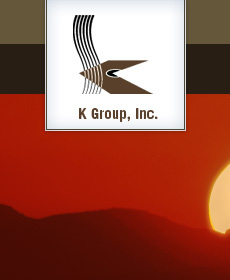 K Group’s approach to fundraising is focused, unique, and very results oriented. Campaigns succeed or fail depending upon the level of excitement and “passion for the cause” that is brought to each campaign. K Group has unmatched expertise in developing strategies and raising money for good causes that meet the needs of the donor community. Donors in today’s environment are more demanding than ever in terms of their desire to be connected with charities that (1) have a well articulated vision and strategy for success, (2) generate “positive energy” in the communities they serve, (3) promise to be good stewards of the funds they use, and, most importantly, (4) connect them to other like-minded donors in ways that further their personal and professional goals. The fundraising arena has become an aggressive environment for even the most well known non-profit. “You have one chance to make your first impression to donors” is K Group’s philosophy. We therefore prepare our clients thoroughly before appealing to their communities. • Articulate (in marketable terms) the brand promise for your organization – a concise statement that differentiates your organization and cause from the other myriad of potential funding competitors. • Refine the vision and strategy needed to move the organization to a higher level of sustained performance, including a funding strategy that takes advantage of Board of Director, community, partner, and staff relationships. • Recommend and gain full Board and staff agreement on a campaign document that is both realistic and achievable, while meeting the core needs of the organization. • Build a strategic roadmap in sufficient detail to communicate the unique programs and functional services delivered by your organization – enabling the non-profit to accurately build its new operating budgets and management requirements necessary to sustain the organization. • Assist in identifying and securing leadership gifts equal to 50% of identified capital needs including direct attendance at the key donor meetings (as appropriate). • Develop a target list of 100 to 150 high potential donors capable of funding 80% - 90% of your capital needs. • Accelerate the fundraising timeline by recommending and implementing programs that draw on an in-depth knowledge of potential donors – beyond the size of their pocket books. • Bring the program vision to life through implementation of marketing, communications and PR programs that build upon the unique needs and interests of target donors. • Connect the non-profit agency with large numbers of grass roots donors by growing community interest in the newly refined vision for the organization.